This is a waterborne rocket-ship with impeccable manners... This boat ain’t cheap, but neither is a Lamborghini. This is about speed, looks and uncompromising quality. I loved it. CARBON MARINE HAS BROUGHT TO MARKET THE WORLD’S FIRST FULLY EXPOSED CARBON FIBER PRODUCTION HULL. Carbon Marine’s hulls are Lighter, Stronger, and Faster than conventional fiberglass, leading to superior speeds and handling in all conditions, whether top-end or cruising. Built with the same materials as the world’s finest supercars, the Paragon 28 SS has a top-end of 75mph and a cruising speed of 51mph. The sheen of the fully exposed carbon fiber deep V hull. At 4500 lbs with fuel and water tanks full, the Paragon handles like a supercar on water. The V-shaped carbon fiber hull cuts through big waves and always wants to drive smoothly forward leading to unrivaled performance and comfort in all conditions. 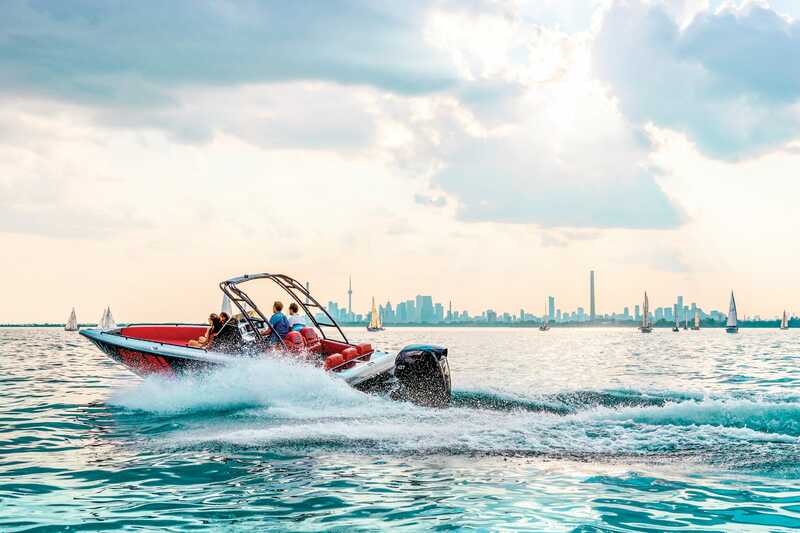 With an unmatched power to weight ratio, Carbon Marine is top in its class with up to 50% faster cruising speeds at the same or better gas mileage. The combination of the world’s most powerful outboard and our carbon fiber exposed hull create unmatched efficiency all while maintaining that high-end performance whenever desired. Advanced materials lead to an offshore hull with significant performance enhancements in speed, rough water handling, and a dramatic reduction in fuel consumption. Built for the open ocean, but ready for any water you want. Matching the most desirable carbon fiber finishes of the world’s top supercars, these hulls are the only of their kind on the water. Carbon Marine is the first to produce fully exposed carbon fiber hulls. Carbon Marine uses premium leather finishes that can be customized to each order. The Paragon is fit with JL Audio marine speakers and subwoofers that produce incredible sound quality at all speeds. This, combined with a large capacity battery allow for all day sand barring with no concern for running out of juice. Each boat is outfit with Seadek flooring, leading to a premium feel on the feet all while maintaining its ruggedness for all uses. The deck has embedded coolers and auto-fill livewells. Arrive Faster. Fish Harder. Sunbathe Longer. 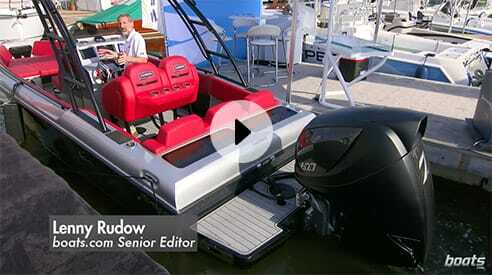 The Paragon is designed to be a versatile day boat. Fish in the morning, get there and home fast and comfortably, pick up your family and head out for a day cruise. Whatever the occasion, the Paragon is designed to suit your needs. 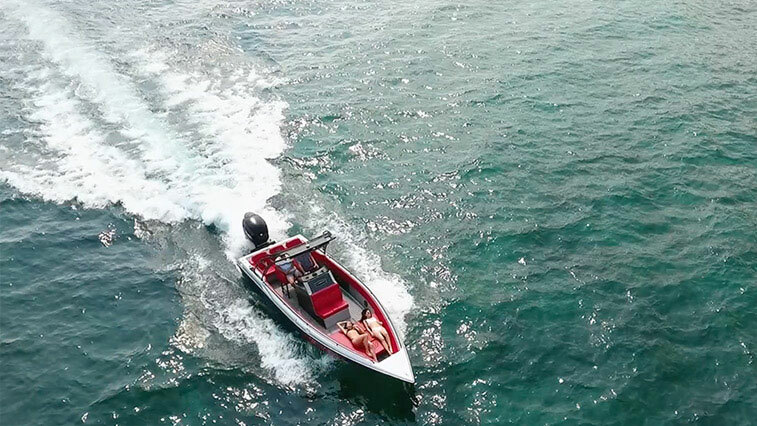 Partnered with Seven Marine, Carbon Marine uses their 627 hp supercharged V8 outboard. 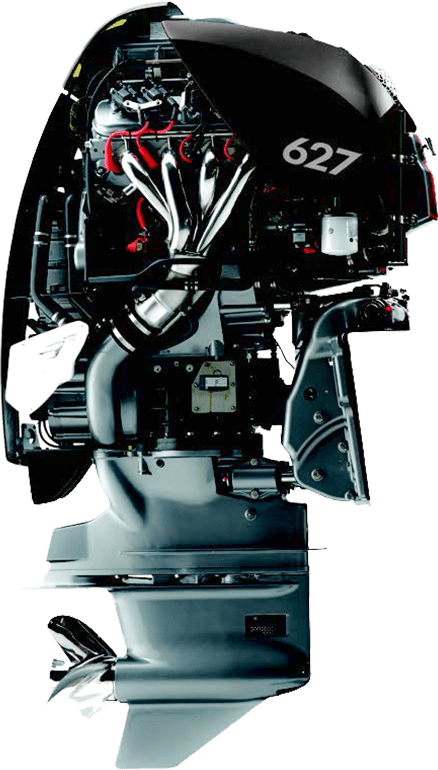 Seven Marine produces the most powerful outboard models, a world class combination leading to cutting edge performance, changing perceptions of boating. 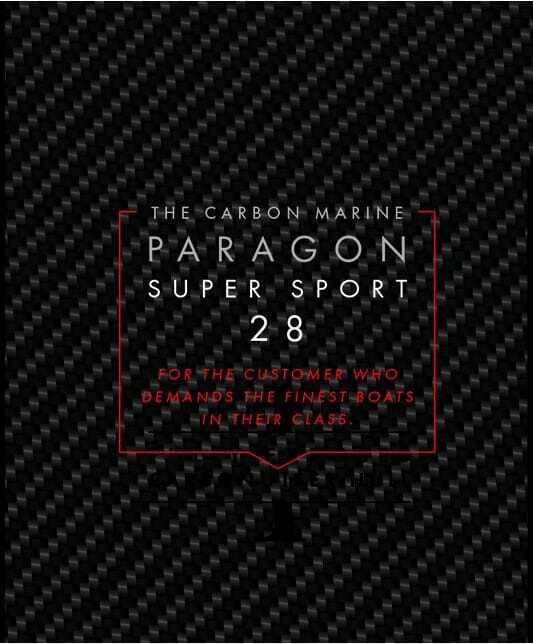 Contact Carbon Marine for a private consultation or for a bespoke order. Call us: 647.781.1723 or fill out our form below.